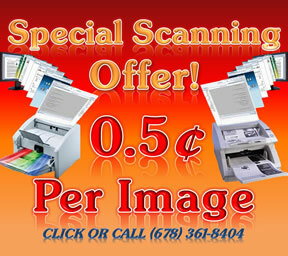 Have you decided to convert to a paperless system? Can you rely on a software salesman to give you the best solution for your office? Is he sure all your equipment will work with his software? Most work on commission and only know about their own software. We can help you decide what system and speed of implementation will work best for you. Eofficehub offer project management for paperless office conversions, Scanning documents, Scan Paper files/Charts, paperless office staff training, EMR software conversions. We can show you how converting to a paperless system helps you become more HIPAA compliant. We are Based in Atlanta. Our project management professionals have more than a decade experienced. Certified by the Project Management Institute (PMI) you can be confident that your paperless conversion project will be assessed, planned, executed, managed and closed in a manner that is both effective and cost-efficient. o Network setup, staff training, scanning, hardware and software installation. When you choose the best paperless solution, the conversion will be implemented in stages and as your staff grasped the concepts and electronic workflow. The project will proceed without disrupting your client/patient flow. Simply put we will help you deliver your high-priority project to successful completion with our hands on methodology and experience. With government requirements for paperless medical practice and over $100K available in funding the only question is. What methodology you will implement for your paperless project?